Most of the documents leaked by Edward Snowden are from the American signals intelligence agency NSA, but there are also quite a number from their British counterpart GCHQ. Documents from both countries are classified as TOP SECRET and often have additional markings to further restrict their dissemination. Where on American documents we see markings like COMINT (Communications Intelligence) and NOFORN (No Foreign Nationals), the British have the mysterious term STRAP followed by a number. Information about American classification and dissemination markings can rather easily be found on the internet (see also The US classification system on this weblog), but there are hardly any details about the British classification system. But luckily, there's one source available which describes STRAP and other British classification practices in detail: the extensive Defence Manual of Security from 2001. Chapter 17 (page 1131-1135) of Volume 1 gives an overview of the STRAP Security Guidelines. 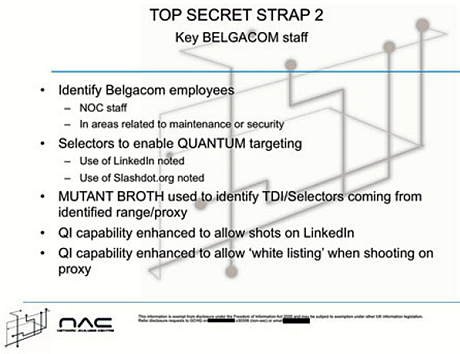 In the manual, STRAP is described as a set of nationally agreed principles and procedures to enhance the "need-to-know" protection of sensitive intelligence (and related operational information) produced by the British intelligence agencies, including military sources. It adds additional procedures to the standard security measures employed for intelligence matters. STRAP is therefore comparable with the American system of protecting the most sensitive information by control systems with separate compartments, which are generally designated by codewords. Although on some websites it's suggested that STRAP might stand for "STRategic Action Plan", the Defence Manual clearly states that STRAP is a codeword, not an acronym. The STRAP codeword itself is not classified. Some intelligence information, handled within the STRAP System, require more stringent protection than others. To assure this, there are three levels of STRAP protection. These levels are designated, in ascending order of sensitivity and, hence, access control: STRAP 1, STRAP 2 and STRAP 3. From the category of most sensitive documents, marked STRAP 3, there are no actual examples available. STRAP 3 for example protects the precise locations where these interceptions takes place. The real names of the telecommunication companies that cooperate with GCHQ are classified one level below this, at STRAP 2. 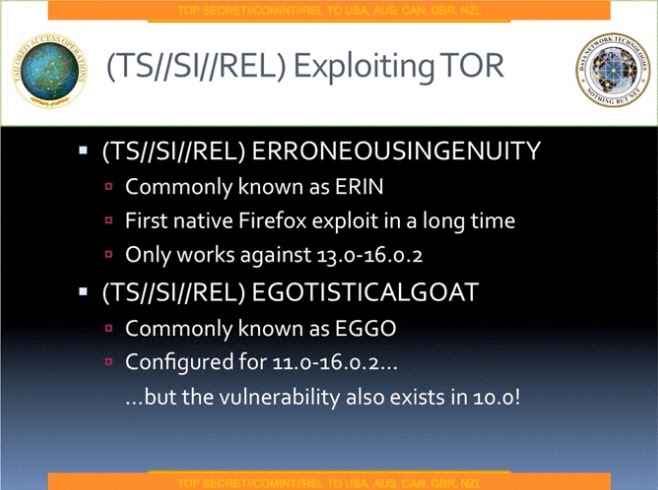 As several of these real names have been published, Snowden must somehow got access even to STRAP 3 documents. Probably because they are so sensitive, Greenwald and the papers may have decided not to publish them, but only use some of the information they contain. - Providing explicit briefings and guidance for individuals who handle this type of material. Information that requires protection under the STRAP system has to be clearly defined and labelled with the appropriate STRAP level marking. It has to be carried by authorized couriers during transit, and signed receipts have to be obtained at all stages of handover. Within the British Ministry of Defence, the implementation of the approved STRAP security measures is overseen by individually appointed STRAP Security Officers (STRAPSOs). The overall responsibility for the review and formulation of STRAP policy and guidelines is with the STRAP Management Board. On December 11, the Swedish public television channel SVT published a range of new NSA-documents from the Snowden-collection. One is a text which for the first time proves that intelligence agencies of nine European countries are 3rd Party partners of NSA. These countries are: France, Germany, Spain, Italy, Belgium, the Netherlands, Denmark, Norway and Sweden. Earlier, these nations were identified as forming the 14-Eyes group, for which we now also have a real name: SIGINT Seniors Europe or SSEUR. This is probably the first time that an official NSA document is published in which several 3rd Party countries are named. Until now, we only had documents proving this status for only a few separate countries, and we had a range of countries that were suggested to be 3rd Party partners by intelligence experts. From the countries mentioned in the fragment published by Swedish television, only France, Germany, Norway, Italy, Belgium and probably Spain were supposed to be 3rd Party partners. 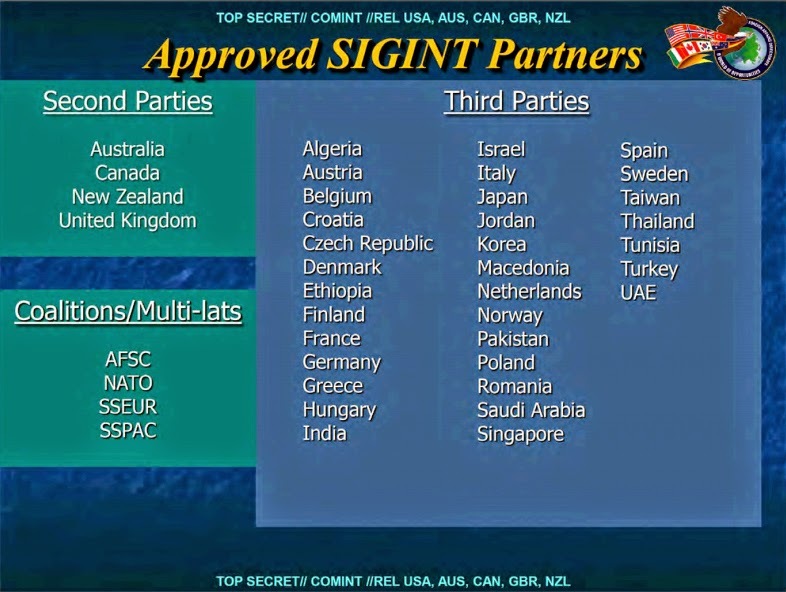 Sweden, Denmark and especially The Netherlands were not listed as such, so with this new disclosure, we now know for sure that the intelligence agencies of all these nations have the 3rd Party status. Being a 3rd Party means that there's a formal bilateral agreement between NSA and a foreign (signals) intelligence agency. Probably the main thing that distinguishes this from other, less formal ways of cooperating, is that among 3rd party partners, there's also exchange of raw data, and not just of finished intelligence reports or other kinds of support. Also both parties have a Special Liaison Officer (SLO) assigned at each others agency. It's not quite clear what the initial 3rd Party agreements are called, but we know that later on specific points are often laid down in a Memorandum of Understanding (MoU). An example is the Memorandum of Understanding between NSA and the Israeli signals intelligence unit, which was published by The Guardian on September 11, 2013. As the newly published fragment starts with an asterisk, it seems to be a footnote in a document about intelligence training, explaining which countries are "SSEUR members": the Five Eyes (United States, Great Britain, Canada, Australia and New Zealand) and nine other European countries: France, Germany, Spain, Italy, Belgium, the Netherlands, Denmark, Norway and Sweden. The term "SIGINT Senior" may designate the highest ranking SIGINT officer of a foreign (signals) intelligence agency, rather than a country as a whole. For example, in France, the Directeur Technique (DT) inside the foreign intelligence agency DGSE is called "le Senior SIGINT" exactly. Intelligence agencies aren't organized the same way in each country. Some countries have intelligence agencies inside police forces, military intelligence in the field, defense agencies which collect both for military operations and counterterrorism, etc. Also the laws aren't the same in every country. Therefore, it's obviously more convenient to have one single point of contact in each country, to discuss SIGINT-related issues, or even for actually passing signals intelligence, with maybe some pre-processing already done, instead of having to do this with different people from different agencies and units in each country. This explanation fits the fact that the document mentions SSEUR together with the NATO Advisory Committee on Special Intelligence (NACSI), which is also a platform for discussing SIGINT-related issues. From the nine European countries of SSEUR, only Sweden is not a member of NATO, but as mentioned earlier, Sweden is often cooperating with NATO countries. More interesting is that Belgium is part of this group too. Belgium is a small country and reportedly has hardly any SIGINT capabilities. That is to say: domestically, but maybe there's some more substantial SIGINT collection by Belgian troops participating in military operations abroad. With SSEUR containing European 3rd Party partners, it's very well possible that there are also similar groups of partner agencies in other parts of the world, with the East-Asian/Pacific Rim region being the most likely. The SIGINT Seniors Europe comprise 14 countries, and when we look at their names, we see that they are identical to the nations of which The Guardian in November said they form a group called 14-Eyes. As this latter group was also never heard of, we looked for some possible explanations in an article on this weblog last month. But by then we didn't know exactly and for sure which countries were 3rd Party partners, so it was hard to get things clarified. 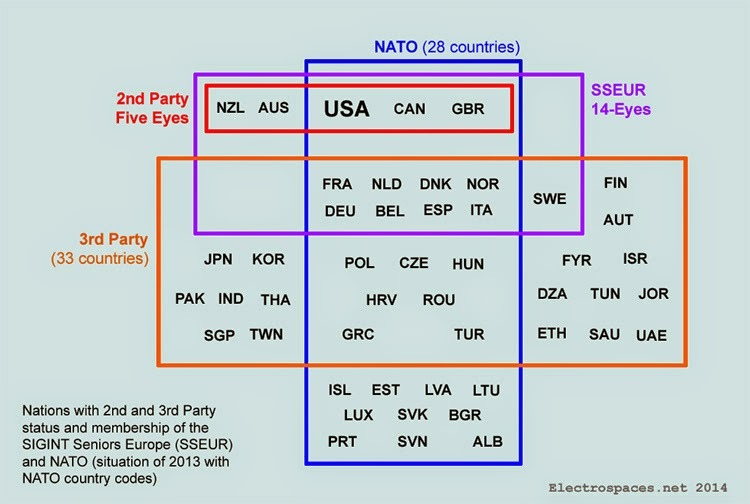 Now that we know that all nine European countries, including Sweden, Denmark and The Netherlands, have 3rd Party status, it's clear that our option "A" came closest: 14-Eyes stands for a number of 3rd Party countries who have something in common - likely having a 'SIGINT Senior' officer as single point of contact for NSA and the Five Eyes. As explained in our earlier article, an 'Eyes' designation is most often used as a handling instruction for restricting dissemination of sensitive information among a certain group of countries. 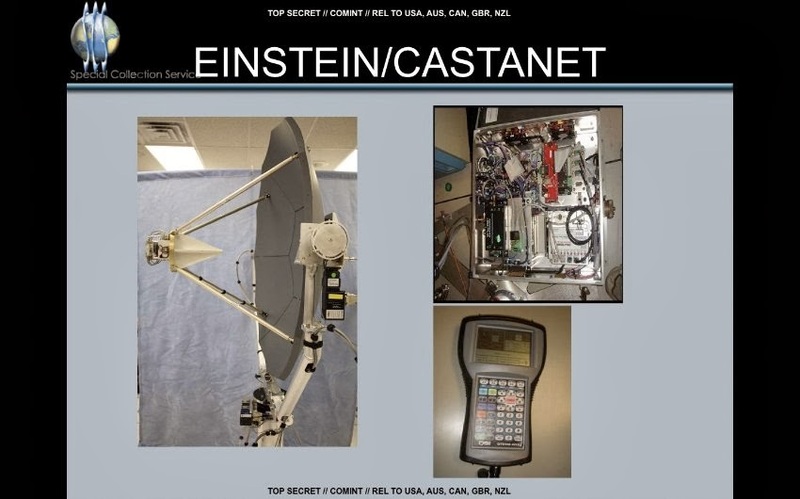 In this case, 14-Eyes apparently serves as dissemination marking for information authorized for release to the 14 members of the SIGINT Seniors Europe group. An article from 2001 about the history of Dutch signals intelligence clarifies that SIGINT Senior Meetings (SSMs) are attended by the heads of agencies responsible for signals intelligence, like NSA, GCHQ, the German BND, the French DGSE, the Italian SISMI, and the military intelligence services of Norway, Denmark, Belgium and other countries. The SIGINT Senior Meetings coordinate the military intelligence needs for the participating countries, resulting in the actual exchange of data and information through the Signals Intelligence Data System (SIGDASYS). Originally this was some kind of computer system that acted as a back-up in case one of the countries lost its own SIGINT capacity. Later, SIGDASYS became a database in which all participating nations poured military SIGINT and other information, and, on a quid pro quo basis, could get out the intelligence they needed themselves. In this way, SIGDASYS decreased the overlap in data collection and played an important role during the 1990-1991 Gulf War. The system is managed by the multinational SIGDASYS Committee which reports to the SIGINT Seniors meeting. Update: an internal NSA SIDtoday newsletter from June 14, 2005, says that work was started for standardizing formats to facilitate the exchange of call chaining diagrams via SIGDASYS too. The article says that for the Netherlands, it was the head of the former military intelligence agency MID (1988-2002) who participated in the SIGINT Seniors meetings, often accompanied by the director of TIVC, a unit which processed Dutch signals intelligence. On Twitter, a Dutch journalist working on the Snowden-papers added that initially it was the head of the former Dutch navy intelligence agency MARID who attended the SIGINT Seniors meetings and nowadays it's a senior official of the Military Intelligence and Security Agency MIVD. He also said that membership of this 14-Eyes group is not fixed and can change over time. 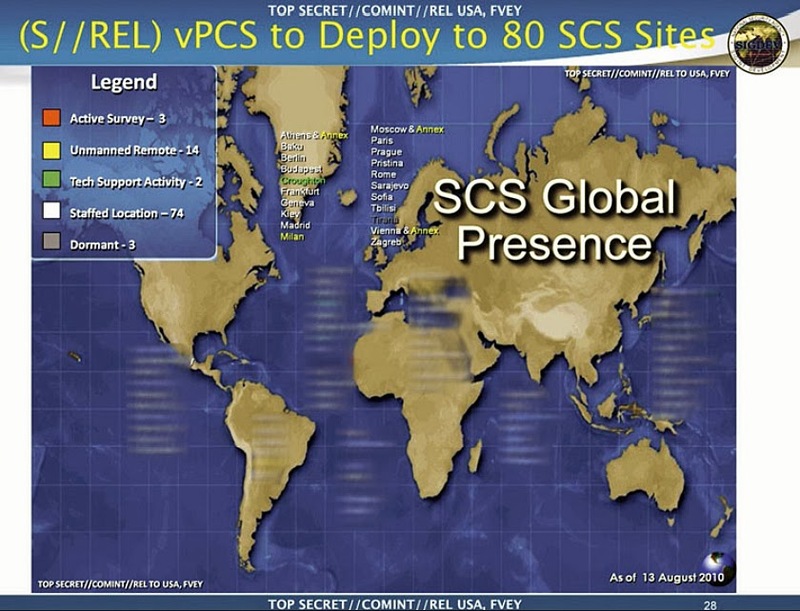 All this makes clear that 14-Eyes is the designator for information that is restricted to the 14 nations participating in a group called SIGINT Seniors Europe (SSEUR), which apparently exists for some 30 years. SSEUR meetings are attended by the heads or senior officials of the signals intelligence agencies of the 14 countries, who coordinate the sharing of military intelligence. 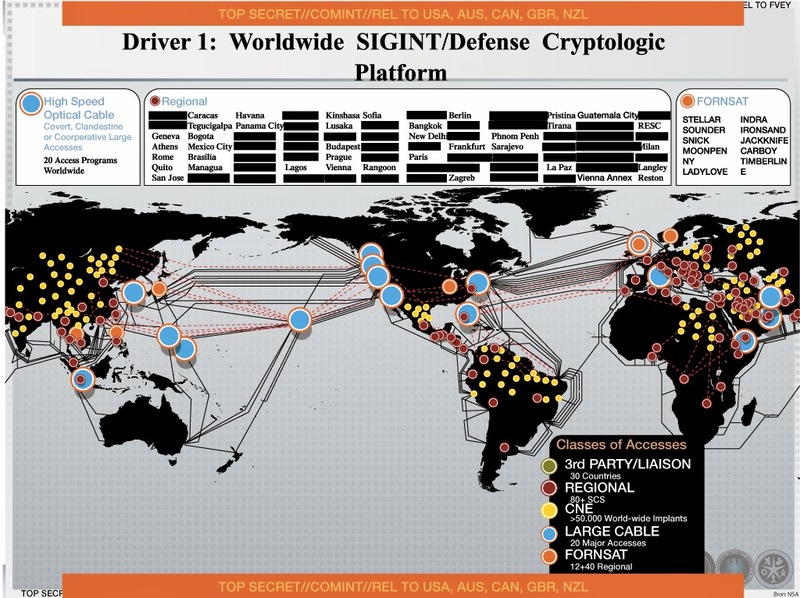 The actual data and information exchange takes place through a regional database of the Signals Intelligence Data System (SIGDASYS). - Cees Wiebes, "Dutch Sigint during the Cold War, 1945-94", in: Matthew M. Aid & Cees Wiebes, "Secrets of Signals Intelligence during the Cold War and Beyond", London, 2001, p. 276-277. A previous article on this website showed that the charts in the NSA's BOUNDLESSINFORMANT tool are not so easy to interpret as it may seem. Screenshots from this tool were published by a number of European newspapers saying that they are proving that NSA is intercepting phonecalls from these countries. This article will show and examine a new image which literally provides context to these screenshots. For the first time, this screenshot reveals what the actual BOUNDLESSINFORMANT interface looks like. It shows that the bar charts and the details below it, as published by the newspapers, appear in a pop-up window above the world map of the global overview. On the left side we see the overall numbers for DNI (internet), DNR (telephony), SIGADs, Case Notations and Processing Systems for the last 30 days. This time period can be changed, probably by using the slide button underneath this list, next to the dark grey box. It seems that 30 days is its maximum. In the slide screenshot this time period is 7 days, which can be seen in the pop-up window and explains the smaller numbers in the list at the left side of the map. The lower part of the screen shows a Top 5 of countries and their total numbers of DNI and DNR records. These total amounts of data can be sorted in three different ways: Aggregate, DNI and DNR, which can be selected with the radio buttons above the map. Each option results in a slightly different top 5 of countries, which is also reflected in the colors of the heat map. These three versions were published by the Indian paper The Hindu last September. - The Map View, which "allows users to select a country on a map and view the metadata volume and select details about the collection against that country". - The Org View, which "allows users to view high level metrics by organization [NSA divisions] and then drill down to a more actionable level - down to the program and cover term". According to a Frequently Asked Questions (FAQ) paper for BOUNDLESSINFORMANT from June 2012, this tool can graphically display information about collected metadata in a map view, bar chart and simple table. The map view can be seen in the main window with the global overview, the bar charts appear in a pop-up window. How the simple table view looks like is not known. Comparing these two screenshots reveal that the images shown in the papers are just a part of the actual pop-up window. We recognize the four sections with the different charts, but there are also some minor differences. The slightly different layout may have been caused by the different time period: 30 days gives in a much wider bar chart than 7 days. 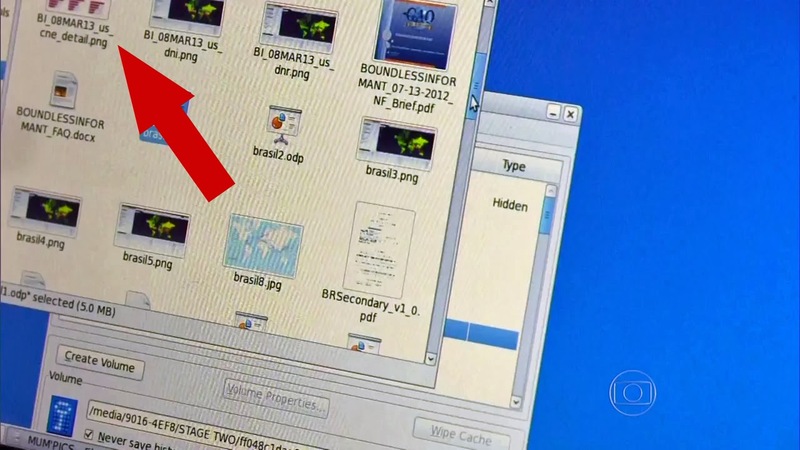 Apart from that, we see that in the screenshots from the newspapers the whole frame is missing. 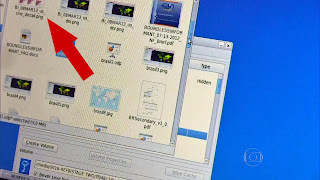 The example from the presentation has "SIGAD" with a symbol next to it in the upper left corner, but we don't know if that's standard, or that it indicates a specific view mode. Below this are a search box and a scroll box with a relatively long list of options - unfortunately impossible to read, but it's not a list of SIGADs. The display section has two tabs, the active one white, the other one black, indicating that there are apparently two main options for presenting the information. Left of the bar chart there's a section that could be titled "Active Summary" and seems to contain symbols and headers very similar to those below the bar chart. 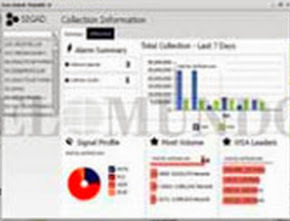 Probably one can select different kinds of details about the data collection to be shown. The images from the papers have "Top 5 Techs" in the lower section at the right side, but in the pop-up example something different is shown, ineligble again. Another small difference is in the "Signal Profile" section: the pop-up screen shows four different types of communication systems (maybe DNI, DNR and two others), but the screenshots from the papers have seven. As the presentation is from July 2012 and the images in the papers are from early 2013, maybe during that period more options were added to the tool. 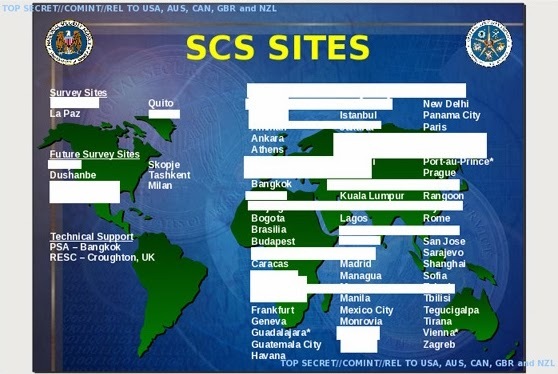 All this shows that in the Map View alone there are more options to select than just clicking a country and getting one standard overview of NSA's collection against that country - that's how Glenn Greenwald and the newspapers brought it. The fact that there are more ways to select and present the information already became clear by analysing the screenshots published by the papers. For at least five countries (France, Spain, Norway, Afghanistan and Italy) the charts only show one technique, DRTBOX. 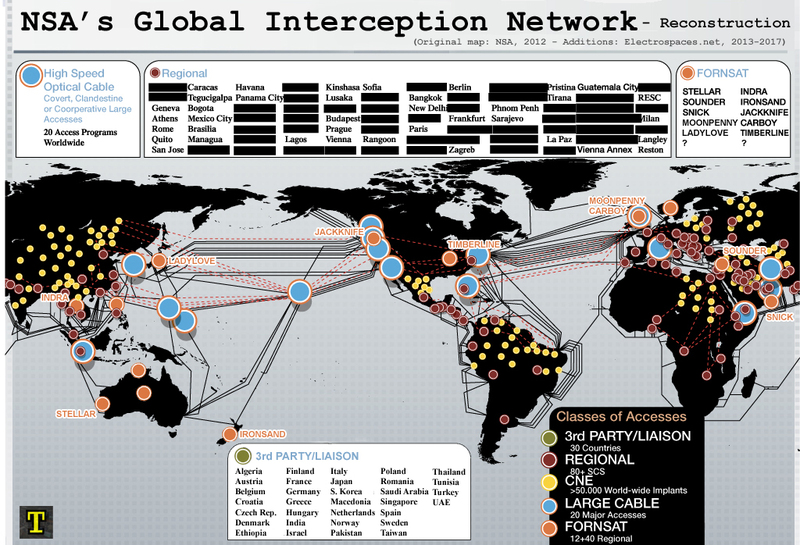 If NSA really spies on these countries, it's unlikely they use only one system and collect only telephone (meta)data. Therefore, it seems more as if in this case DRTBOX was used as the primary selector, resulting in charts showing how many data this system processed from different SIGADs and different countries. A more complete overview of data collection against a country is given by the screenshot for Germany, which shows multiple systems collecting both internet and telephone data. Also interesting to see is that there are not only such charts about countries, but also about collection programs like WINDSTOP (which could be from the 'Org View' mode). 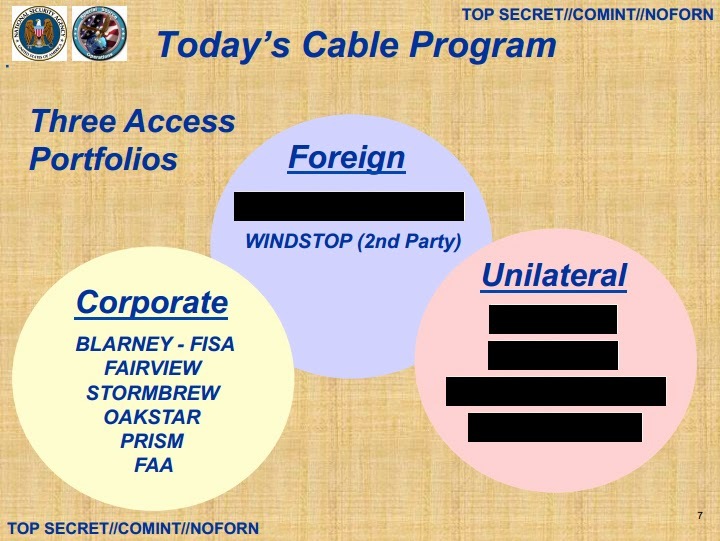 Now that we have a picture of the complete BOUNDLESSINFORMANT interface, we've seen that this tool has many options to present information about NSA's (meta)data collection. The screenshots published in various European newspapers were cut out from their original pop-up windows, which makes that we are missing their context. We can't see what options there were and which selections were made to present the information as we see it. We don't know who cut out the charts: was it Edward Snowden, or someone else at NSA (for preparing a presentation), or was it Glenn Greenwald? These questions are of some importance, because these screenshots are used as evidence for rather grave accusations. Until now, neither Glenn Greenwald, nor editors of some of the involved newspapers were willing to answer any questions about the origins of these screenshots. Instead, Greenwald still sticks to his own initial interpretation and lets papers publish that over and over. 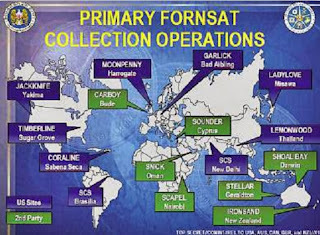 Besides the collection capabilities shown in this map, NSA also collects data through a range of tactical collection systems that support military operations, as well as through drones, planes and satellites (called Overhead Collection). 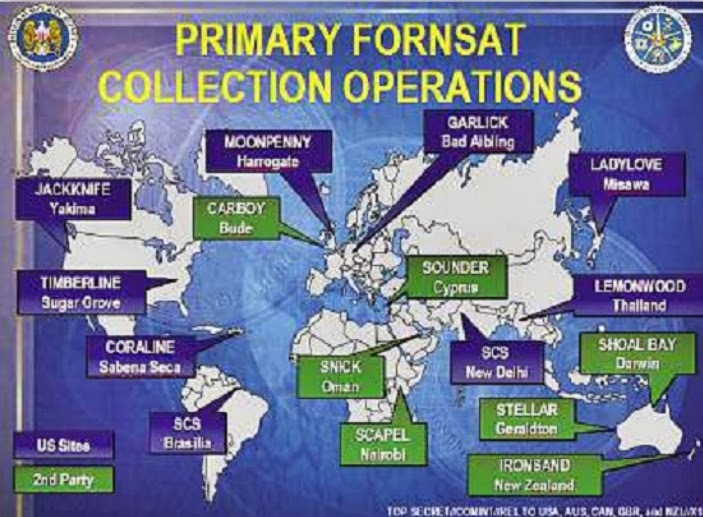 Ground stations for spy satellites are at Menwith Hill in the UK and in Pine Gap in Australia. On October 30, 2013 the Spanish paper El Mundo published an undated document showing cooperation with various countries on four different levels. The first group is called "Tier A" which is "Comprehensive Cooperation" with the UK, Australia, Canada and New Zealand (the Five Eyes). The second group is "Tier B" and is about "Focused Cooperation" with some 20 countries. The third group of "Limited cooperation" consists of countries such as France, Israel, India and Pakistan. Finally, the fourth group is about "Exceptional Cooperation" with countries that the US considers to be hostile to its interests. 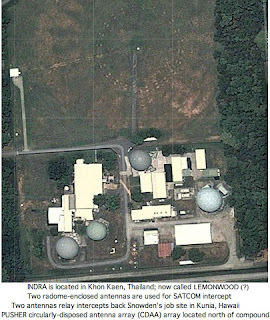 Compared to these numbers of implants, there's only a very small number of yellow dots on the map, so they probably provide only an indication of the regions where NSA placed most of them. As such we see India, China, Mexico, the northern part of South-America, north-east Africa, eastern Europe, the European part of Russia and the Middle-East. The station in Sabena Seca was closed down and the same has probably happened to the one in Nairobi. NSA's large satellite intercept station Bad Aibling was closed in 2004, but most of the facilities, including nine of the large satellite dishes hidden under white radomes, were handed over to the German foreign intelligence agency BND. In return, BND had to share the results from the satellite collection with the NSA. For this cooperation, the Joint SIGINT Activity (JSA, 2004-2012) was set up, located in the nearby Mangfall Barracks.